KSB Service - fast and efficient. Around the clock. 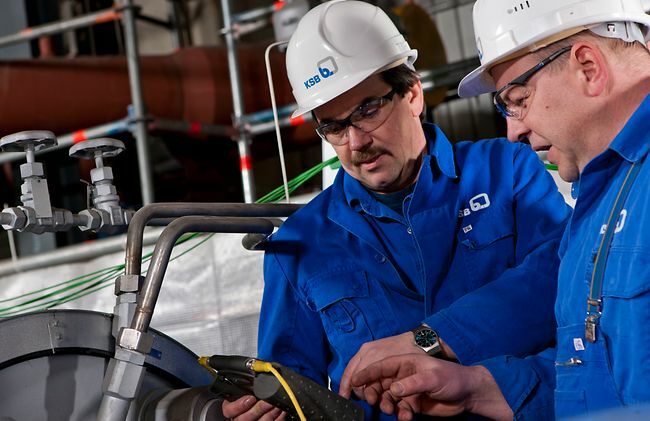 More than 2,500 well-trained KSB service specialists ensure high availability on site, and the smooth operation of industrial and municipal systems and power stations. Our KSB service specialists see to it that your industrial systems funtion perfectly. Mobile service specialists offer one-site service.